Ms. Whelan’s practice emphasizes post-grant proceedings, client counseling, strategic patent portfolio design and management, due diligence investigations, and freedom-to-operate studies, particularly in the chemical and materials science areas. She has extensive experience in post-grant proceedings, having provided the strategic direction for well over 100 post-grant matters involving both challenging and defending patents. 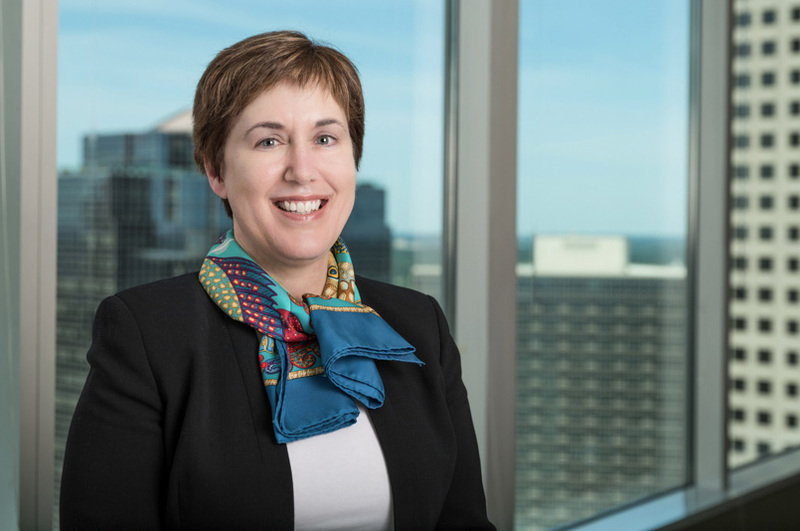 When the patents are also the subject of co-pending litigation, Ms. Whelan works closely with the litigation team to design and implement an integrated strategy. Ms. Whelan develops creative, cost-effective solutions for her clients, which range from start-ups to Fortune 100 companies. Representative technologies include batteries, fuel cells, medical devices and materials, adhesives, optical films, polymer processing, pharmaceuticals, and filtration devices. Ms. Whelan writes and speaks extensively on topics related to post-grant proceedings and is currently a regular speaker at Fish’s Post-Grant for Practitioners webinar series. She spoke regularly at Fish’s Challenging Patent Validity in the USPTO 2012 webinar series and is a frequent panel member at industry seminars. In previous years, Ms. Whelan spoke regularly at Fish’s Challenging Patent Validity in the USPTO webinar series. “Recent Developments in Biopharma PTAB Practice,” author with Tasha Francis and Will Orlady, NYIPLA (February/March 2017). “Post-Grant Pushes Forward in Life Sciences,” Metropolitan Corporate Counsel, Contributor (September 17, 2015). “Hot Issues in PTAB Trials,” moderator, AIPLA/USPTO Road Show Series – Enhancing Patent Quality and Conducting AIA Trials at the USPTO (August 24, 2015 (San Jose, CA) and August 28, 2015 (Alexandria, VA)). “Making Sense of Inter Partes Review Proceedings,” Cantor Fitzgerald’s Inaugural Healthcare Conference, Keynote Speaker (July 8, 2015). Quoted, “The Unintended Consequences of IPR,” Life Sciences Intellectual Property Review, June 16, 2015. Co-lecturer for Patent Resources Group Advanced Patent Law Course, “Hatch-Waxman and Biosimilars: A Total Immersion Course Encompassing Strategies for Prosecution, FDA Regulation, Post-Grant Challenge, Litigation and Appeal,” April 16-18, 2015. “Post-Grant Patent Challenges: What Bio-Pharma Practitioners Need to Know,” Boston Breakfast Series (October, 2014). “PTAB AIA Trial Roundtable,” hosted by USPTO (May, 2014). “Inter Partes Review: Patent Owner’s Perspective,” West Legal Education (March, 2014). “Examining the Impact of Patent Reform on Hatch-Waxman Litigation and the Brand/Generic Wars,” ACI Patent Reform (January, 2014). “Understanding New Proceedings for Challenging Patent Validity (IPR, PGR, CBM),” co-presenter for Thomson Reuters Patent Disputes 2013 in Santa Clara, CA (November, 2013). Replays and materials for the 2019 series can be found here. Replays and materials for the 2015 series can be found here . “Top 250 Women in IP” by Managing Intellectual Property (2016-2017). “Top 250 Women in IP” by Euromoney (2013). Recognized in “The World’s Leading Patent Practitioners” by IAM Patent 1000 and recommended for post-grant procedures (2012-2013, 2016-2017). Minneapolis/St. Paul Business Journal: Women in Business/Industry Leader Award (2010). The Best Lawyers in America– Intellectual Property (2014, 2013, 2011, 2008, 2007) and Patent Law (2016, 2015, 2011), and Minneapolis Patent Law Lawyer of the Year (2014). Super Lawyer (2013, 2012, 2011, 2010, 2009, 2008, 2007, 2006, 2003).